The Environmental Education Center offers Garden Discovery Tours, Canoeing & Kayaking, Birding, and Overnight trips throughout the year. But sometimes we offer additional trips that don’t fall under these categories! Trips throughout the year may include a visit to the zoo, a museum, or other ecological or historical point of interest. Please see below for our current listing. Remember how excited you would be for a trip to a science museum or a planetarium when you were a child? Embrace that sprit and join us for a trip to the Liberty Science Center. Tour the exhibit halls, visit the new SHOR house - a sustainable shore house, enjoy a space show in the largest planetarium in the Western Hemisphere! With a resolution of 88 million pixels the images are crisp, clear, and will make you want to touch the stars. There is so much to see and do, the day will pass in a flash! Join Naturalists on this trip to historic Doylestown, Pennsylvania, the county seat of Bucks County. This area has a rich and interesting history from the colonial period to the early 20th century. We will visit the Fonthill Castle, Mercer Museum, and the Moravian Tile and Pottery Works for a combination of formal and self-guided tours. Bring money for lunch in town during a break in the middle of the day. What does life in a big city have in common with life in the country? Microbes of course. Tour the Museum of NY and discover how the city has been fighting microbes and contagious diseases since the city was established. Please wear good walking shoes and dress to be both inside and outside. Take a day off and leave the driving to us! Join a Naturalist on a trip to the world famous zoo run by the Wildlife Conservation Society. With more than 4,000 animals on display, there is something for everyone to admire. The zoo is too big to see in just one day so we will prioritize our visit; start thinking about what you want to see! We will be covering a lot of ground. Wear your walking shoes and bring a camera and/or binoculars because there is always something happening at the zoo! Bring your lunch or money to purchase lunch in the café. 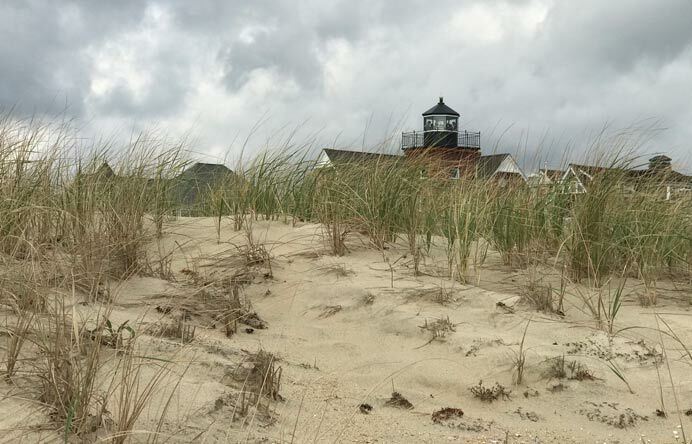 Join a Naturalist for a trip to the former Jersey shore. Wear boots and plan on over topping them as we walk a stream bed in search of ancient marine life! Bring a lunch, snacks and drinks. Collecting conditions dictate wearing pants and old sneakers or boots. Consider bringing a change of clothes and shoes too. Collecting conditions are dirty, wet and ‘primitive’. The Environmental Education Center (EEC) offers a select few overnight trips throughout the year. Overnight trips vary in location but are consistently educational and recreational. All trips are organized and led by an EEC Naturalist. Please see below for our current offerings. Join Naturalists for The New Jersey Lighthouse Challenge! staying overnight Saturday in the heart of Cape May. Look for more information and a brochure early this spring!